Now that we’ve heard the importance in dialogue, it is only natural that we now recognize another crucial element to any game: SFX. SFX is the abbreviation for sound effects, which are often used in movies and games. And in games, SFX can range from the sounds made from pressing start, the swing of a sword, the casting of a spell, and even the soundtrack of the game itself. 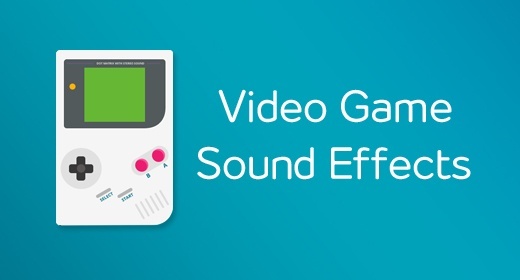 In short, most of the enjoyable elements in a game come from the sounds you hear. Not only does it please you the moment you are playing the game, but you will also remember the game the next time you hear a familiar sound or song. The SFX can be so impactful that it becomes a part of your memories, so long as it is done right. Aside from knowing what SFX is, this discussion will get into different types of SFX, what it does for the game, and some neat examples to listen to. If you’ve played the Kingdom Hearts series by Disney and Square Enix, then you would have been more than familiar with that specific theme as it is played at the main menu. It probably even brought out some emotion in you. If you never played Kingdom Hearts, then this song probably only sounded familiar or at least nice to hear. Nonetheless, this theme represents a very important type of SFX to gaming and that is none other than the soundtrack itself. In this particular instance, this theme was composed to serve as the opening song, which is a pivotal role when trying to make a good impression on the player right from the very start. In fact, most games tend to make one of their best songs be the “main theme”, which is often played at the main menu or at the very beginning of the game. Think about it, if someone were to ask you to hum your favorite video game song or theme, it would most likely be a song played from a main menu. Aside from openings meant to leave a lasting impression, other songs within a soundtrack are used to create ambience for the player’s experience, setting the tone for an environment or special moment. If the player is in a peaceful town, the music in the background might be at a somewhat steady pace, perhaps even hitting high notes that symbolize some sort of joy or even a state of liveliness. If the player is in a battle or confrontation, the music may be high strung and fast paced, meant to get the player’s blood flowing and make the heart race with anticipation. And if the player is in a dark, mysterious place, the music may be the slowest it will ever be in the game, leaving the player wondering what will come next and even adding to the silence making the environment all the more dreadful. Below are examples of different tracks used to portray different moments or emotions. Hear that array of emotions and tones? That is the power of music in gaming. However, we know music is not the only SFX within the game. While music alone can be powerful, it may not rewarding enough to the player. After all, the player is going to want to feel like every action they take is doing something and sometimes it takes a sound effect to let them know that they did do something. Thus, another type of SFX would be sound bites, which are commonly used for whatever action a player does. Press start? There’s a sound bite that’s activated. Picked up an item? Another sound bite. Hit an enemy? You know there’s a sound bite. Not only do sound bites serve as indicators to the player that something has happened, but they also can add a sense of distinction between actions. After all, the sound of you attacking something should sound different from you walking. Or an enemy should sound different from a friendly AI. Below are few examples of sound bites. Overall, SFX has an impact in gaming that is often underestimated. In truth, the SFX could make or break a game. Would you want to play a game that might have fun mechanics but horrendous sound effects and music? Sure, you could just set the volume to mute, but not many people would play a game in silence. Thus, it is imperative that one makes the SFX of the game just as important as the gameplay. Consider this “sound” advice.